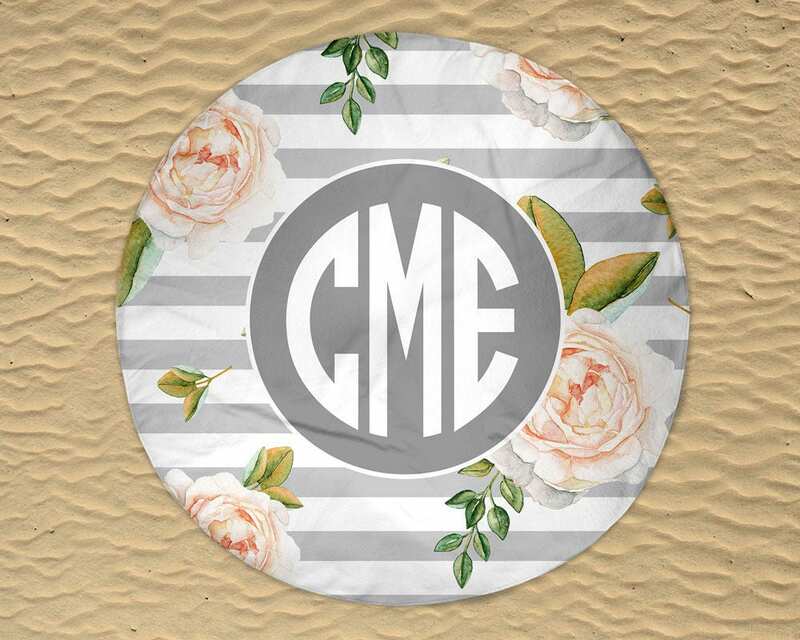 The top of the round towel is made of ultra-smooth microfiber that is printed with a beautiful striped design with pale pink roses and can be customized with any initials. 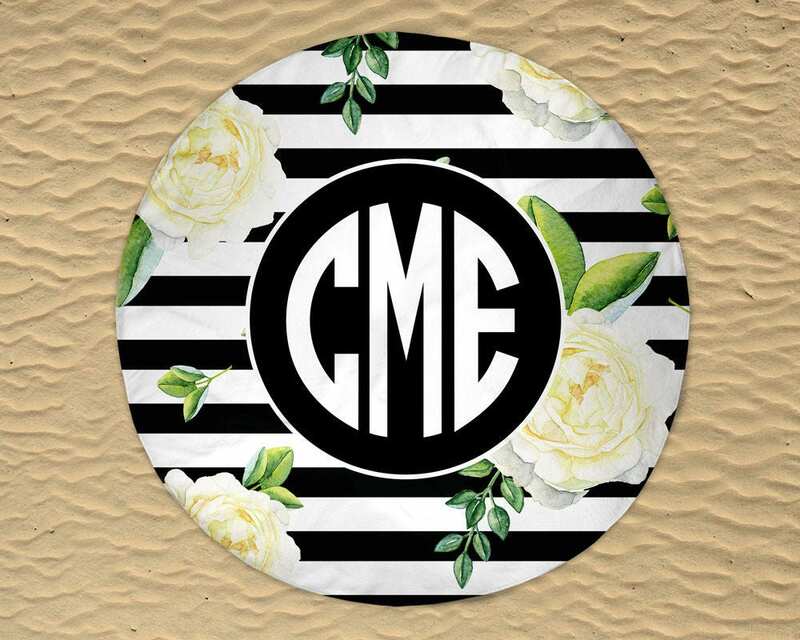 The pattern is available in 2 different stripe options: gray/white and black/white. 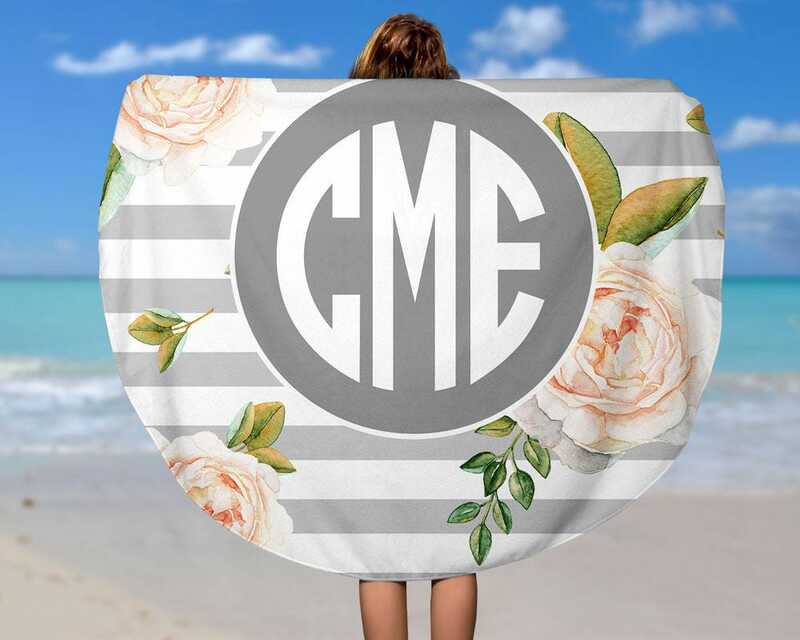 The bottom side of the towel is a soft and absorbent terry cloth, made of polyester and cotton loop, which is perfect for drying off after a day of swimming! Measures 60" in diameter. 1. 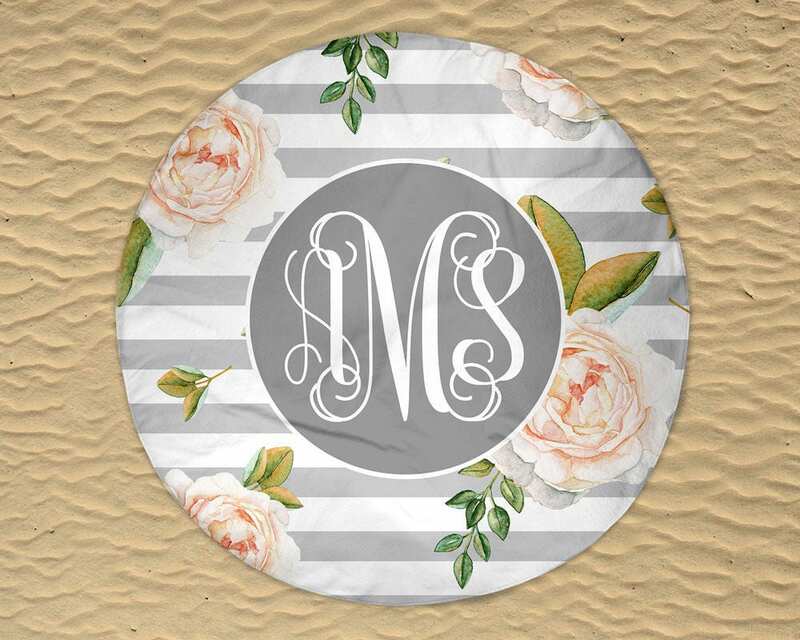 Select your monogram style and stripe color from the drop-down menus and click "Add to Cart."